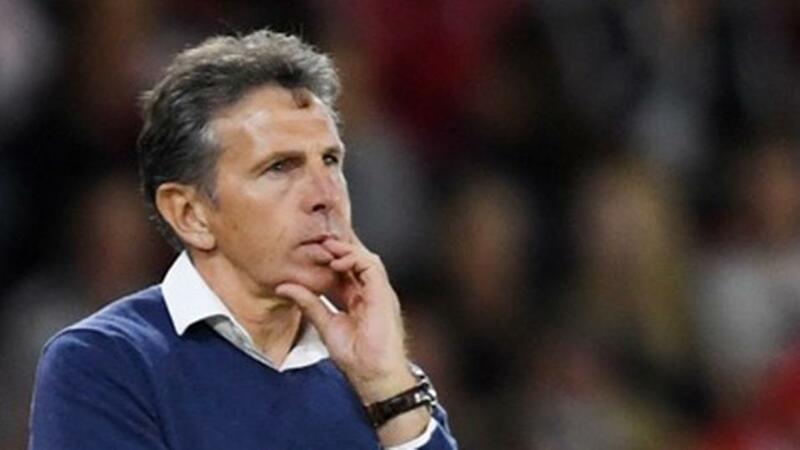 Can Claude Puel inspire his Leicester side when they host Huddersfield? Leicester will expect a home win against struggling Huddersfield. Opta rates their chances. "Leicester City have won eight of their last nine league games against Huddersfield (D1), netting 25 goals in the process." They are [1.66] to win. Leicester City have won eight of their last nine league games against Huddersfield (D1), netting 25 goals in the process. They are [1.66] to win. Leicester have won each of their last seven home league meetings versus Huddersfield - the Foxes' longest current winning streak of that kind against any side in the league. The Foxes are [2.6] to win half-time/full-time. Huddersfield's last league victory against Leicester was back in November 1995 (3-1). However, they did win an FA Cup tie at the King Power Stadium back in February 2013. A Huddersfield victory is [6.8]. Leicester have lost their last two Premier League games. It's their fifth run of consecutive losses under manager Claude Puel, but they haven't lost three in a row since a run of five under Claudio Ranieri in February 2017. Huddersfield are [5.0] in the Draw No Bet market. Huddersfield have failed to score 55.8% of their total Premier League games (24/43), the highest such ratio for any team to have played in the competition. Leicester are [2.4] to win to nil. Huddersfield have won just one of their last 15 Premier League games (D6 L8), scoring just five goals in that run and never more than once in a game. The draw is [3.95]. Since the start of last season, Leicester have been shown more Premier League red cards than any other side in the competition (7). The odds of a sending off in the match are [5.0]. Four of Leicester's eight Premier League goals this season have come in the 88th minute or later. The draw half-time/Leicester full-time double result is [4.5]. Huddersfield have found the net in each of their last three away games, their best such streak in the Premier League. Both teams to score is [2.2]. Jamie Vardy has found the net in both of his last two league appearances against Huddersfield, including the opener in a 2-1 victory at the King Power in October 2013. Vardy is [2.2] to find the net.